This is the back turf field at the High School (behind the Stadium Turf Field). Click on the map icon above for custom driving directions. 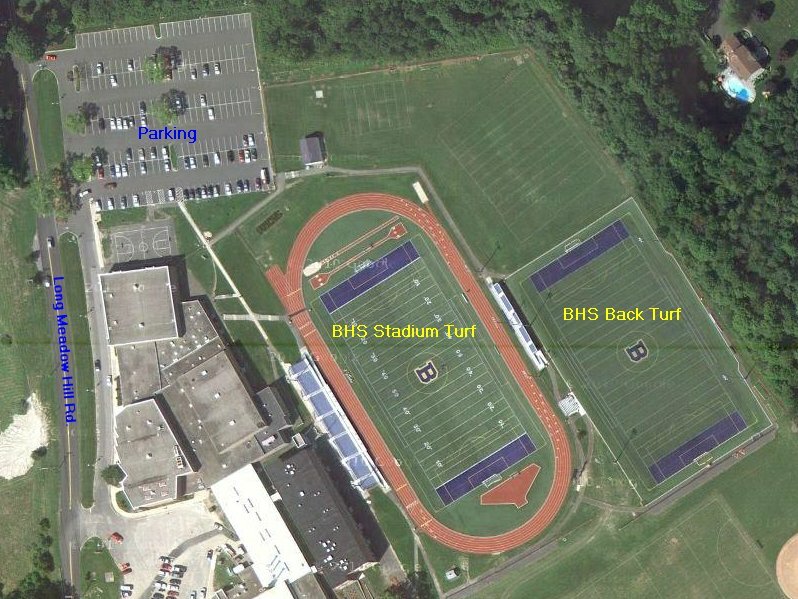 This is the Stadium turf field immediately behind the High School. The Horse Field is located immediately on your left as you pull into the Brookfield Town Hall complex. Horse Field #1 is the field closest to the town hall parking lot. Horse Field #2 is the field closest to the Fire Department (farthest from the town hall parking lot). Lower Ptak field is located at Brookfield Town Hall, behind the Kids Kingdom playground. It is the only lighted field at Town Hall. Schmidt Field is more commonly known as the Corn Field. Located on Junction Road next to Larson's Farm Market. At end of ramp turn right onto Route 25. Follow for approximately 3.5 miles. At the first light, turn left onto Rt. 133/Junction Rd. At the 3-way stop sign, turn right to continue on Rt. 133/Junction Rd. The field is approximately 0.5 mile ahead on the right. Follow Rt. 7 approx. 4.5 miles to Exit 12. At the light at the end of ramp turn left onto Rt. 202/Federal Rd. Follow for approx. 1.5 miles and turn left onto Junction Road. The field is just ahead on your left. Or click on the map icon above for custom driving directions. 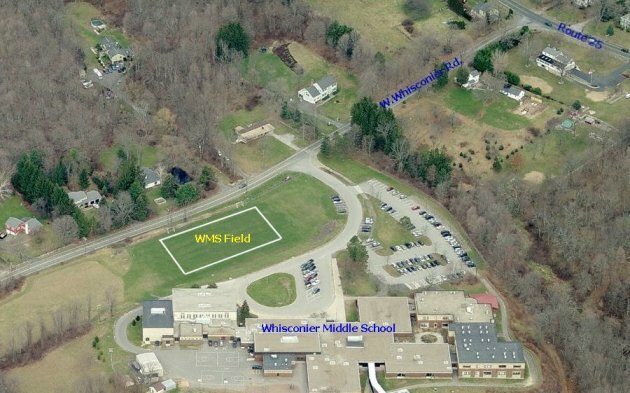 Upper Ptak field is located behind the Brookfield Town Office Building, next to the Police Station. At end of ramp turn right onto Route 25 toward Brookfield Center. Follow Route 25 for approx. 1.5 miles and turn left onto West Whisconier Road. Whisconier Middle School is on your left. Field is adjacent to road. At end of ramp turn left onto Route 25 toward Brookfield Center.